Olive Tree's Summer Daily Devotional is designed to give you an overview of the entire Bible in 14 weeks. Starting on June 1, the daily readings select passages from each book of the Bible and highlight major themes and events in the Scriptures. Additionally, each Bible book begins with an introduction to orient readers to the historical and cultural background as well as give author information and approximate dating. Each section of the Bible (i.e. Historical Books, Minor Prophets, Epistles, etc.) has a short explanation to give readers a big picture of the Bible's organization. 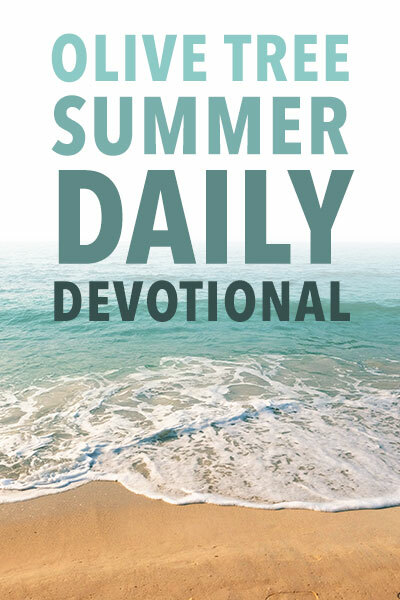 A reading plan for new believers and mature Christians alike, Olive Tree's Summer Daily Devotional will take you through the Scriptures book by book and fill your summer with the Word of God. Daily readings are set as hyperlinks so that you can read from the Bible translation of your choice.